Drake has bad blood with the bench press. Canadian rap star and Apple fanboy Drake gives us a glimpse at his comical side in the company’s latest Apple Music ad by singing along to Taylor Swift while getting beaten by the bench press. The ad is part of Apple Music’s ongoing “distractingly good” campaign, which has previously featured Swift herself. Eddy Cue and Tim Cook personally congratulated Drake. 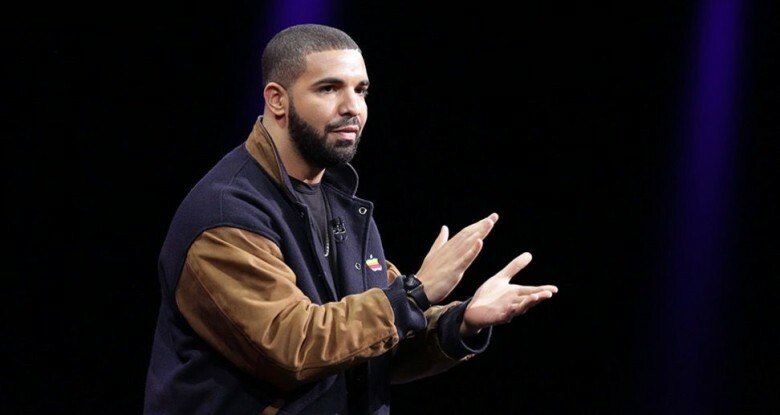 Apple hit a huge milestone this week thanks to Drake’s latest album, Views, which just became the first album to hit one billion streams on Apple Music. 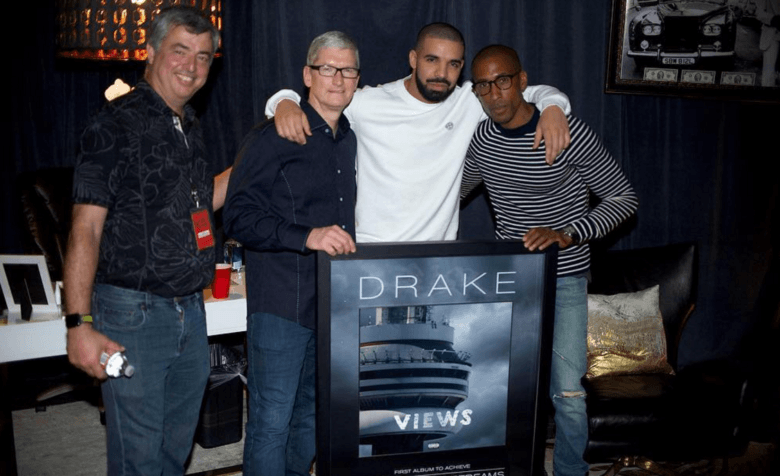 Apple CEO Tim Cook made it a point to personally toast Drizzy on his accomplishment, and presented a plaque to the singer/rapper alongside VP of Service Eddy Cue. Views is an iTunes smash for Drake. Drake certainly won’t regret making his latest album, Views, an Apple exclusive. The company helped rack up 1 million sales in just five days, with more than 600,000 of those coming within the first 24 hours of the record’s availability. 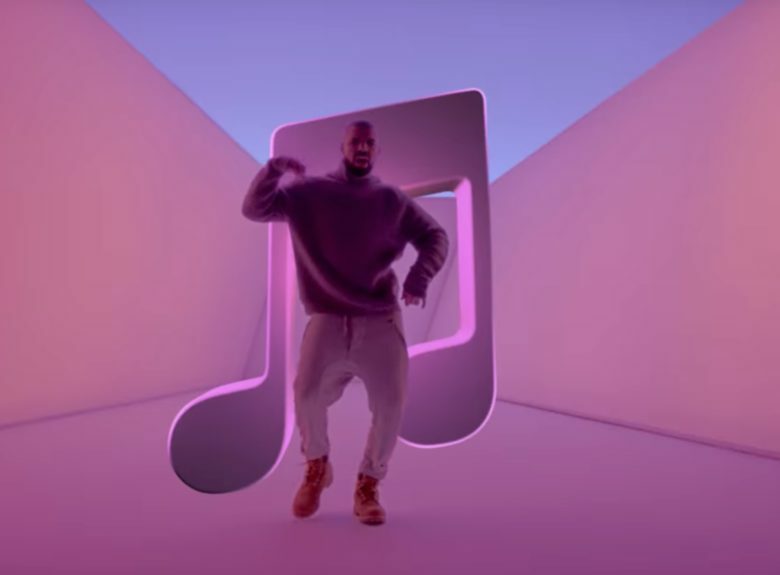 Drizzy has been great for Apple Music. Apple’s big bet on Drake is paying off huge for both sides and shattering records in the process. Drake’s new album Views is only available on Apple Music, but it’s already been streamed over 250 million times in its first week and his album sales are on pace to be the biggest release by a male artist since Justin Timberlake’s The 20/20 Experience. 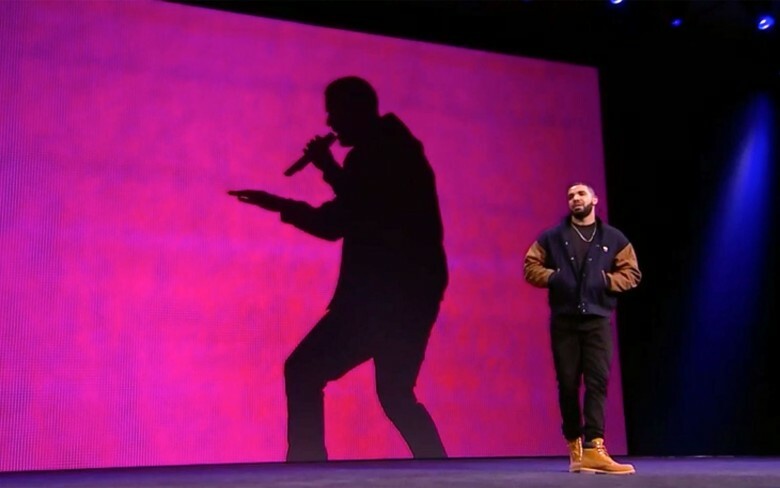 Drake rocking a vintage Apple jacket at WWDC. Whether it’s hosting a show on Beats 1, sporting a vintage Apple jacket, or having his music tirelessly promoted in Apple Music ads, Drake’s about as established a part of Cupertino these days as Eddy Cue’s collection of Hawaiian shirts. No surprise then that everyone’s favorite Canadian Degrassi actor-turned-bad-boy-rapper just chose iTunes and Apple Music as the place to debut his new, fourth studio album Views.